Medium, Towards Data Science. A Journalist’s Guide to Demystify A.I.. 14 April 2019. Better to light a candle than curse the algorithm. Science and Enterprise. 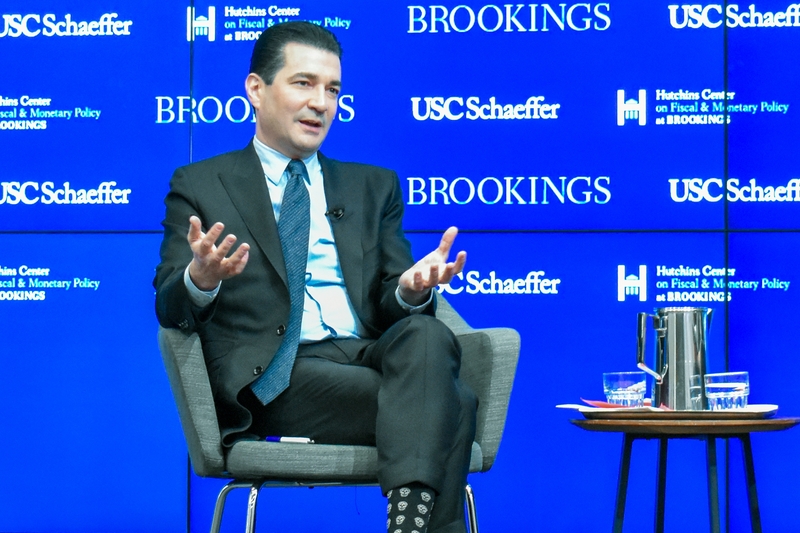 FDA Chief Calls Teen Vaping an “Epidemic”. 20 March 2019. The commissioner of the Food and Drug Administration warned that the sharp rise in teen electronic cigarette use is an epidemic threatening the public health. Science and Enterprise. Insulin Delivered by Capsule, That’s the Good News. 10 February 2019. Before we start celebrating the end of injections, we need to deal with a more basic problem facing people with diabetes, namely the rapidly rising cost of insulin. Science and Enterprise. Book Review – The Fifth Risk. 3 February 2019. Michael Lewis describes in a gripping narrative some of those critical life-protecting functions the federal government performs in his new book The Fifth Risk. Science and Enterprise. Personalized Breast Cancer Trial Advances 7 Drugs. 12 September 2018. A clinical trial with a design that allows for changes in its processes to meet the needs of individual patients says its results helped advance 7 new drugs for breast cancer into review by FDA. Science and Enterprise. You Call That a Drug Pricing Policy? 12 May 2018. Some day Congress or the president or both will get serious about escalating prescription drug prices which are rapidly getting out of reach for a large portion of the American public. Science and Enterprise. Gut Tissue From Stem Cells Simulated on Organ Chips. 17 February 2018. Researchers created working human gut tissue cells derived from stem cells, grown on plastic chips simulating intestinal diseases, as a tool for testing effectiveness and safety of treatments before given to patients. Science and Enterprise. NIH Exec: Research Offers Opioid Crisis Solutions. 16 February 2018. The director of the National Institute on Drug Abuse says recent research in neuroscience and pharmacology reveals possible pathways out of the current epidemic of opioid addiction and overdose deaths. Futurism. One Blood Test Fits All Diseases. 8 January 2018. Imagine giving a blood sample to test for any disease, in one test, all at once. Science and Enterprise. Drug Price Report Calls for Govt Negotiation, More Generics. 1 December 2017. A panel convened by the National Academies calls for the federal government to use its buying power to negotiate better drug prices for consumers. Science and Enterprise. Here’s What a Real Opioid Emergency Looks Like. 28 October 2017. President Trump declared the nation’s opioid drug crisis a public health emergency and called for a number of steps to address the crisis. But let’s be clear — the limited steps ordered by the president don’t look anything like a response to an emergency. Science and Enterprise. Immigration Crackdown “a Disaster” for U.S. Science. 12 July 2017. A panel of research executives from American universities said the current hostility to immigration in the U.S. is causing fear among many researchers and could have a serious impact on science. Futurism. A Thinking Person's Artificial Intelligence. 23 June 2017. A company is creating a human face for artificial intelligence, not a synthetic brain. Futurism. Do You Want Your Bacon CRISPR?. 8 June 2017. Legal and ethical issues need to be resolved before genome editing can start curing inherited diseases. Futurism. Health Care, Precisely One Person at a Time. 22 May 2017. Precision or personalized medicine is designed to make use of advances in genomics, where we define our body's chemistry by our unique DNA or genetic code. Futurism. Let Guinea Pigs be Guinea Pigs. 26 April 2017. There's hope for our furry friends in the lab from an emerging technology that can substitute small pieces of clear plastic that function like human organs, at least for some kinds of lab tests. Futurism. Look Out Pharma. The Tech Industry is After You. 19 April 2017. The growing presence of information technology in health care now includes delivery of therapies directly to the patient.